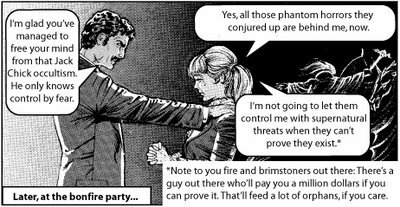 I found another great parody of the Whacko Jacko T Chick tracts. Check out the linked blog to see the whole tract. Well done.